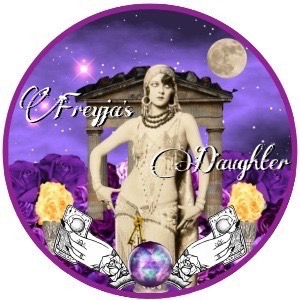 Freyja’s Daughter is a Tarot Boutique offering in-depth tarot consultations & exclusive tarot decks. A professional Tarot Consultant who offers irreverent yet intuitive tarot readings with humour and compassion for the spiritual seeker in search of wisdom. Specializing in Mental Wellness Tarot Readings. Also selling independent self-published artist created tarot decks for the discerning tarot enthusiast and collector. Tarot for the handmade market. I am a Professional Tarot Consultant, Yoga Instructor, cheeky Witch and passionate Tribalstyle Bellydancer. I am also a mother and student of magick and mystery. I love the connection that is made with clients and the insight and help that I can provide through tarot. I am also starkly honest and forthright and think humour is a brilliant coping mechanism. **Tarot Readings are for entertainment purposes ONLY! Freyja’s's virtual assistant can automatically reply to questions that were previously answered by Freyja’s. When a question was not answered, Freyja’s will reply and train the assistant for next time. Download Instantgo to get yours for free. freyjasdaughtertarot's automatic assistant doesn't know how to answer this question at this time. Leave your phone number to get an answer when Freyja’s responds. Next time the bot will have the answer! Thank you for helping train Freyja’s's assistant. You will get your answer soon!